Ideal for office, leisure or sport, the performance polo keeps you cool, dry and stylish whatever the task. The high performance polo enables you to stay and look sharp on the go. 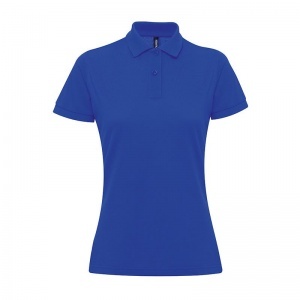 Classic fit polo for women, ribbed knit collar and sleeve cuffs. Twin needle stitching on hem. Two self coloured buttons on placket.